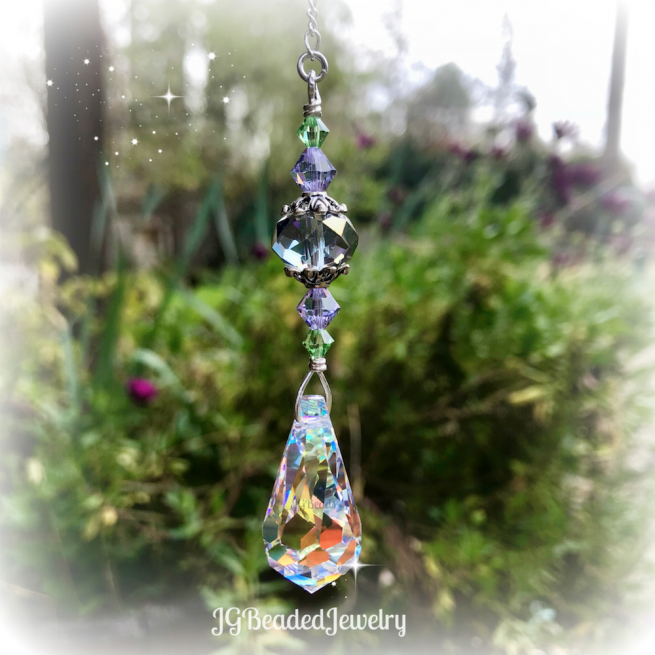 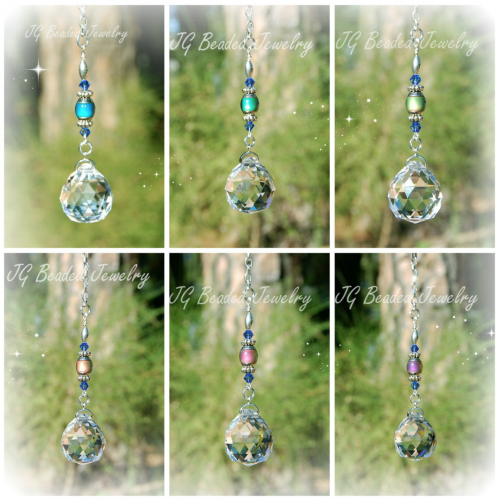 This Swarovski lavender peridot teardrop crystal suncatcher is perfect for the rearview mirror, a window in your home, the office, as a ceiling fan/light pull, or somewhere that could use a little sparkle! 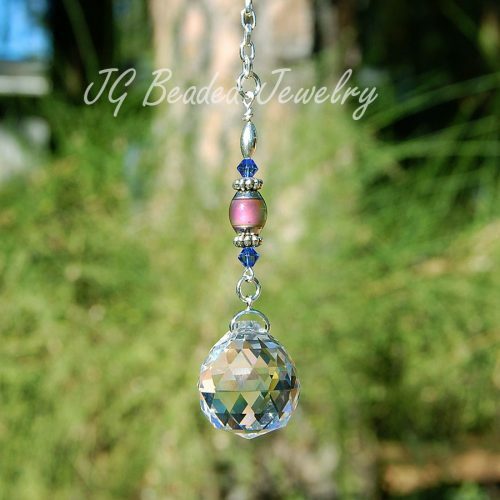 The elegant 28mm Swarovski teardrop prism has a partial aurora borealis finish which gives it a brilliant flash of color. 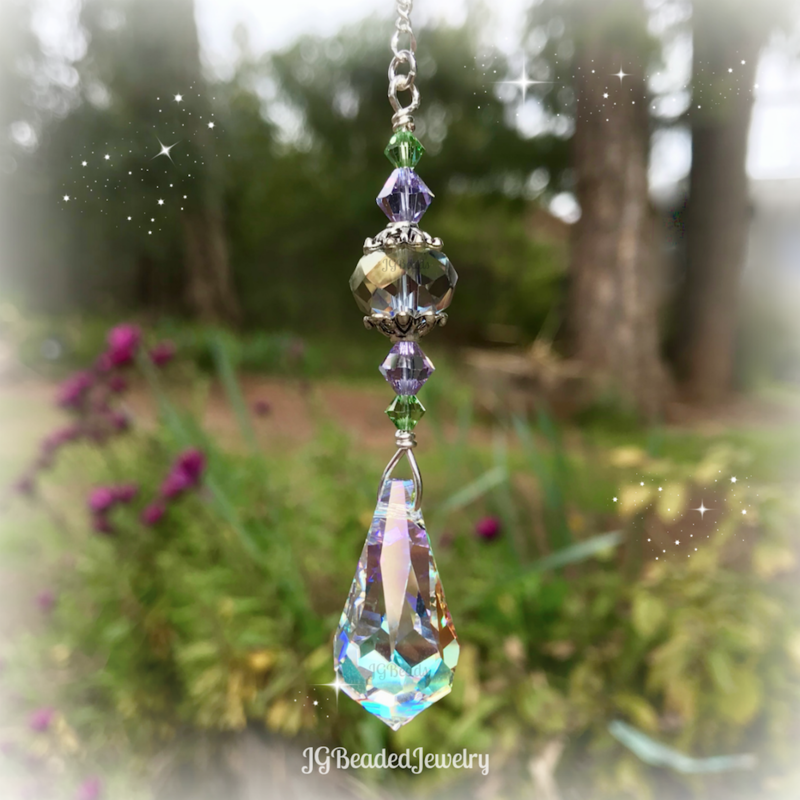 The teardrop is embellished with lavender purple and peridot green Swarovski crystals, a grayish faceted crystal bead with colorful hues and fancy silver metal beads. 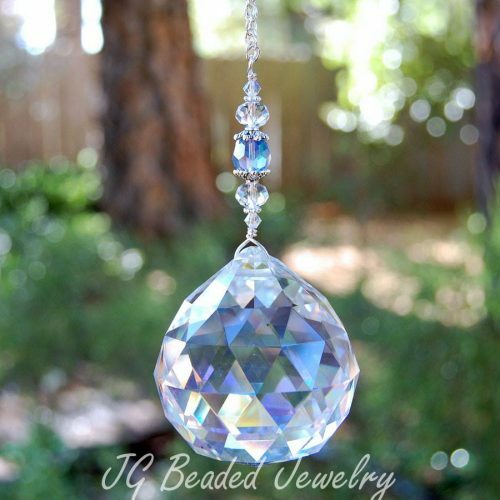 The Swarovski crystal decoration is uniquely designed with love, securely wire wrapped by hand for strength and attention to detail for quality and longevity. 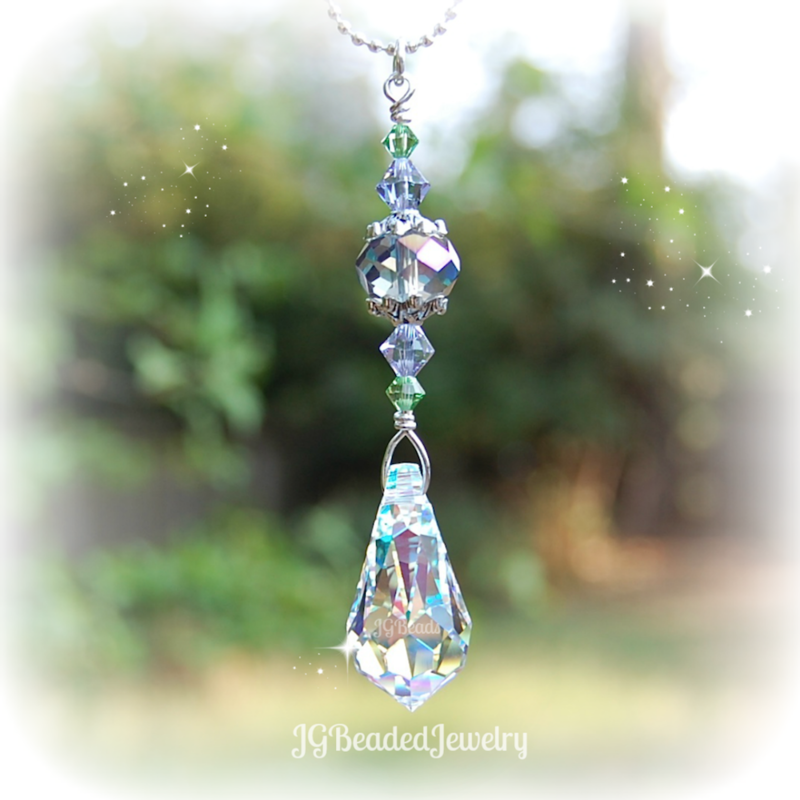 ♥ Swarovski is known worldwide for their quality, precision cut, and flawless crystals – they are the best of the best! 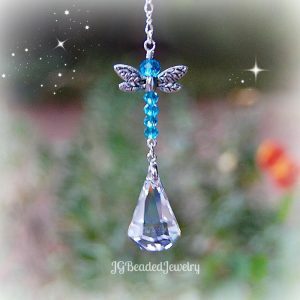 ♥ If you’d like more than the quantity available, please feel free to contact me with your request!